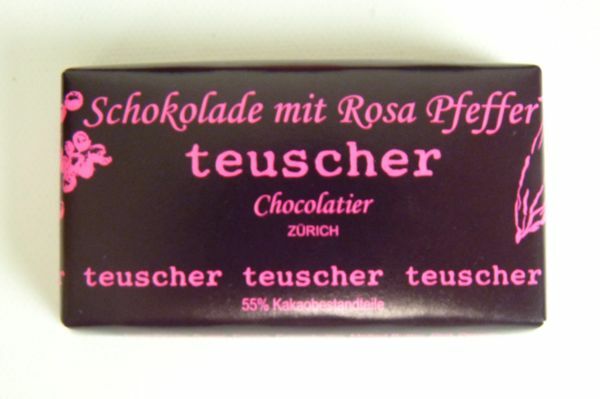 Continuing on yesterday's combination of dark chocolate and pink peppercorns, today I nibbled on a Teuscher Chocolatier Schokolade mit Rosa Pfeffer (or, translated into English: Chocolate with Pink Pepper) bar. 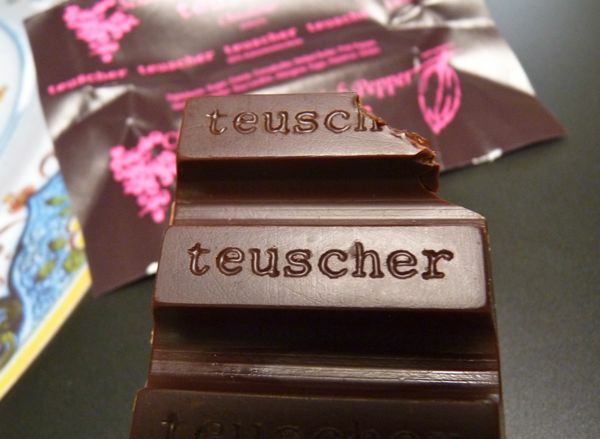 A cacao/cocoa solids base of between 45 and 55 percent is about right for this combination. 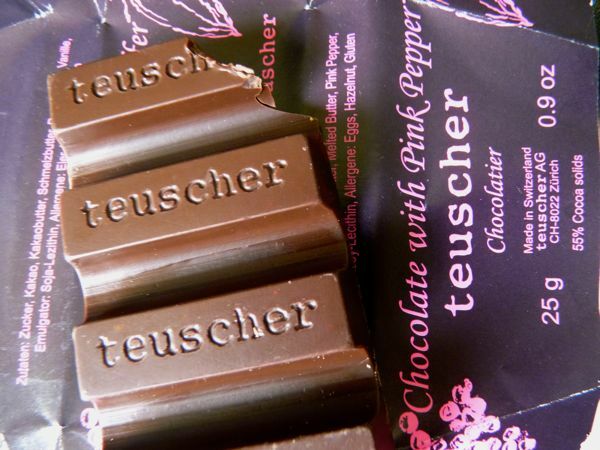 Chocolate that was any more bitter would likely dampen the pink pepper notes. 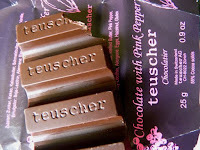 Like yesterday's Madre Chocolate Pink Peppercorn dark bar, there was a hint of vanilla. Unlike yesterday's bar, there were almost no detectable pink pepper skins for visual or textural interest (and no smoked salt). But, the Swiss are famous for their very smooth chocolates, and that was just fine here. Today was Day #4 of Chocolate and Pepper Theme Week.